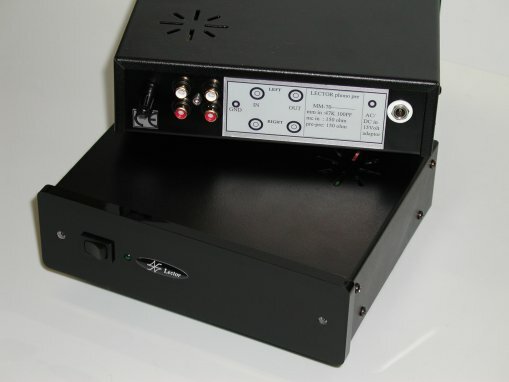 This units is a solid state RIAA PHONO pre-amplifier and adopt in the circuit a special shunt regulators for low noise hi-dynamic sound and precision reproduction. 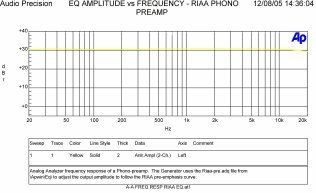 Actrative price, good sound is the solution for to have phono input for our VFI70L or MLA or obsolete amplifier with old mm input. This is a version of MM70mm but with more gain for MC INPUT DIRECT. This unit adopt very fine components and for best performance of S/N ratio there is separate power supply. The total gain is 62 db so is possible to connect directly to any AUX input. Application as MM70mm but for moving coil cartridge. The phono pre-pre is a step-up external module for moving coil catridge. It's output need a PHONO input because this unit is only a linear very low noise amplifier. The I.C. is a audio grade selection components with beatifull sound performance. GAIN=23 db. 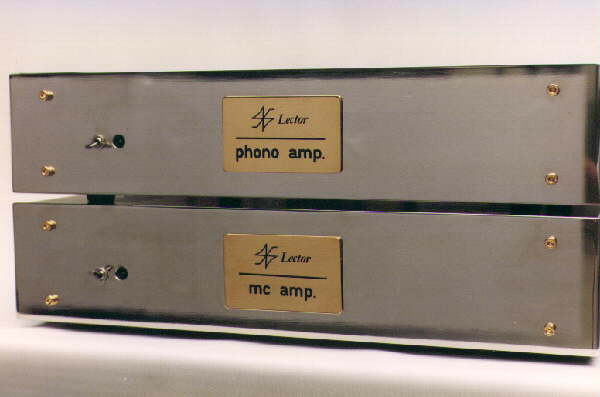 The MC-AMP is a step up units with tube amplifier operate on class A. The circuity use two valve ECC 88 low noise. Is possible to change external resistor charge for to have better interface between cartridge and input tube. Reference preamplifier. This unit is a pure class A operation. The circuity use three ECC 81 low noise type. The power supply circuits adopt new technology as low noise mosfet regulation with error bias control ! The total gain is 45 db and recommend to use with THE MC AMP for to obtain the moving coil input stage. Reference ALL tube circuity class A system phono preamplifier, accept two cartridge as moving magnet and moving coil.The phono preamplifier have two separate input selectable by user. A separate power supply garantee a very low noise operation so the moving coil input have a great S/N ratio. Moving coil input have direct triode operation without the low performance of transformer step-up device. A great moving coil gain ( 66 db) can accept very low m.c. cartridge as 0.4 mV ! All tube design products don't use feedback circuity total or local.